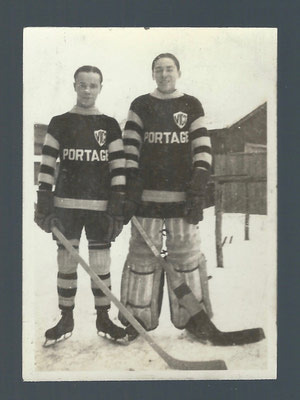 Signed "Marty & Val". 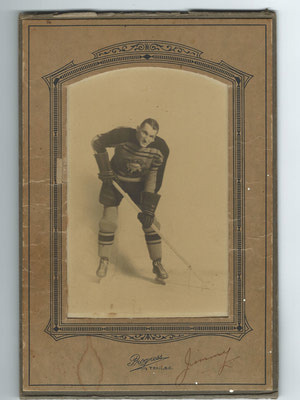 In looking at other Marty Burke Autographs the style of the name Marty matches his handwriting especially in the "a" and "r". 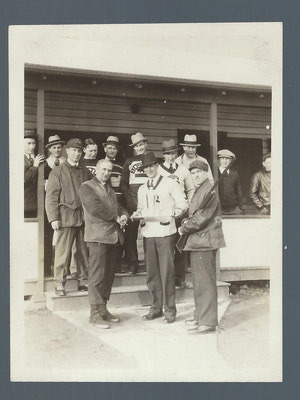 Nice rare piece with Howie Morenz as a member of the Black Hawks. 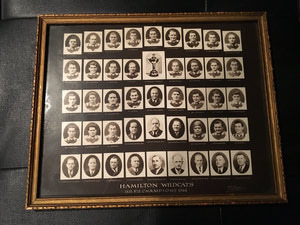 Amazing original photo in the original studio frame. 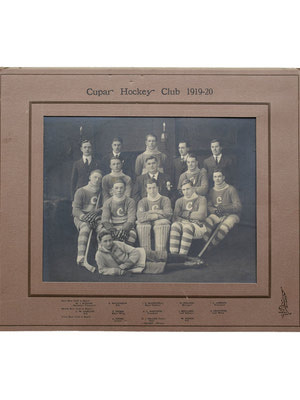 Amazing original cabinet photo featuring the legendary Hall of Famer, Eddie Shore with the Cupar Cubs 1919-20. 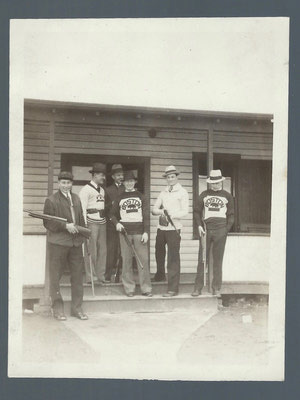 Amazing photo 3 X 4" from the Ron Lyon estate featuring Dit Clapper, Cooney Weiland, Red Beattie and Harry Oliver at Lionel Hitchman's cabin. 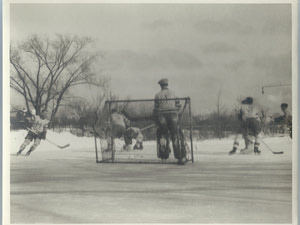 The players were doing some shooting. 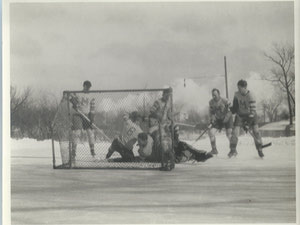 Note the players wearing their game jerseys. 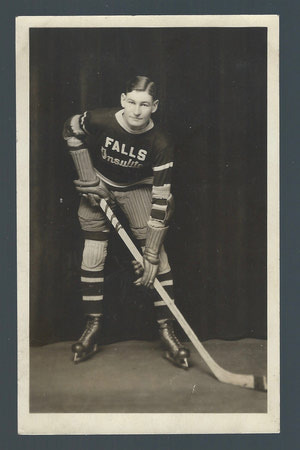 VERY RARE EXCELLENT CONDITION POST CARD OF BUCK MORIN WHILE A MEMBER OF THE INTERNATIONAL FALLS HOCKEY CLUB. 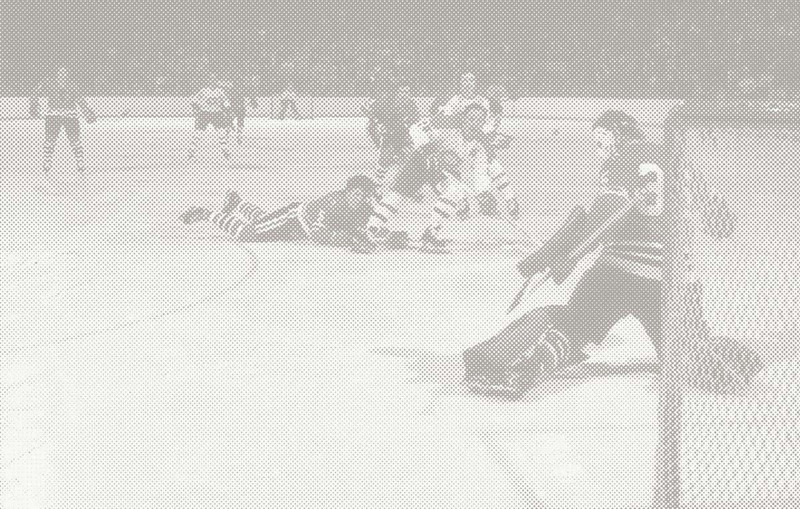 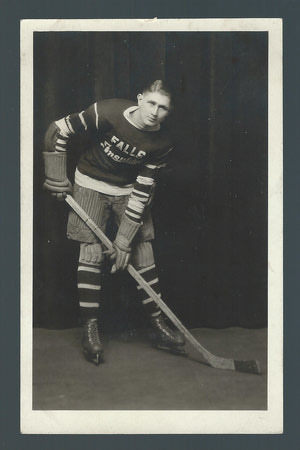 ORIGINAL POSTCARD OF WALTER JOHN "SMOOT" CREASY WHO PLAYED DEFENSE PROFESSIONALLY WITH: ST. LOUIS FLYERS AHA, REGINA CAPITALS WCHL, VANCOUVER LIONS NWHL/PCHL, TULSA OILERS AHA AND WICHITA SKYHAWKS AHA. 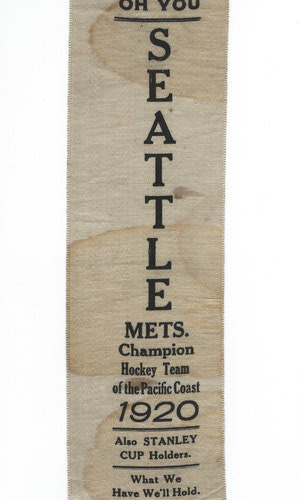 SOME PAPER ADHERED TO BACK FROM SCRAP BOOK. 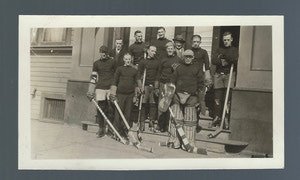 1927-28 Trail Smoke Eaters Original Photo 5 X 3 1/2"
Extremely Rare original photo from the Ron Lyon Estate Collection. 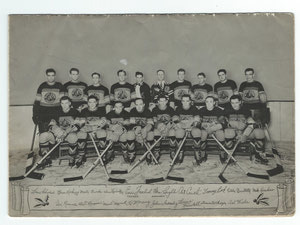 Original 8 X 10 photo of the AHA Minneapolis Millers with Hall of Fame members, Tiny Thomspon, Harry Cameron, Cooney Weiland, Rusty Crawford and Lloyd Turner. 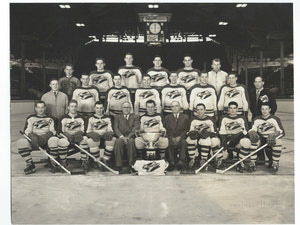 Original 8 X 10 AHA Minneapolis Millers featuring Hall of Fame players Tiny Thompson, Cooney Weiland and Rusty Crawford. 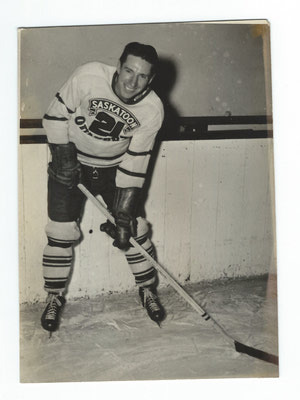 1954 Max Bentley Saskatoon Quakers WHL Photo 4 X 6"
Very nice condition of Hall of Famer Max Bentley while playing with the WHL Saskatoon Quakers circa 1954. 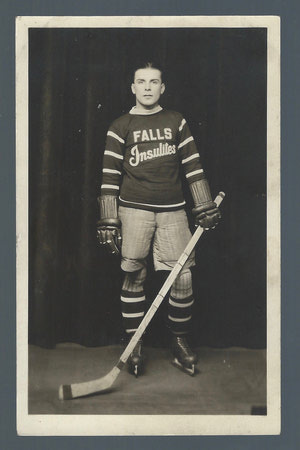 1938-39 Original Cabinet Photo of Jimmy Morris, with the World Hockey Champions, Trail Smoke Eaters. 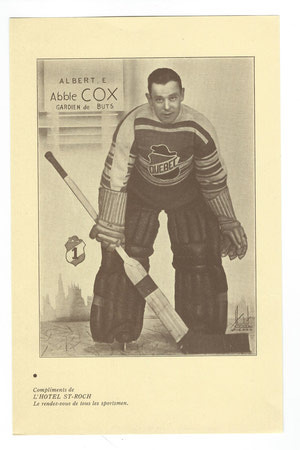 Very nice condition orignal photo fo long time pre war minor league goaltender, Albert "Abbie" Cox. 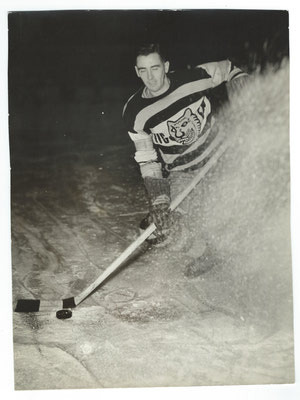 1933-34 Bill Hutton Calgary Tigers NWHL original photo 7 1/2 X 9"
Very nice condition original photo of Bill Hutton of the 1933-34 professional NWHL Champions Calgary Tigers. 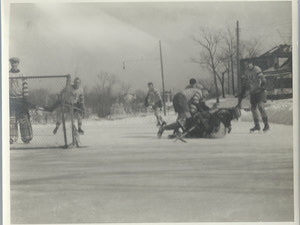 No border version of photo. 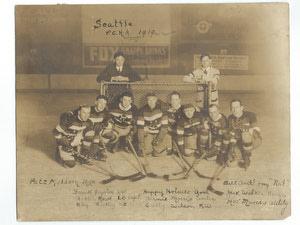 1918-19 PCHA Seattle Metropolitans Original Team Photo 7 1/4 X 9 1/4"
One of a kind original photo of the PCHA Seattle Metropolitans, first American based team to win the Stanley Cup in 1917. 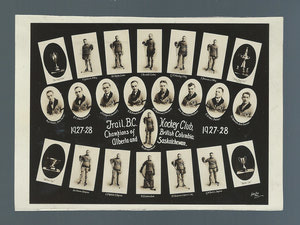 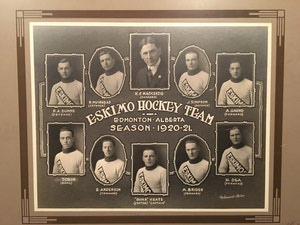 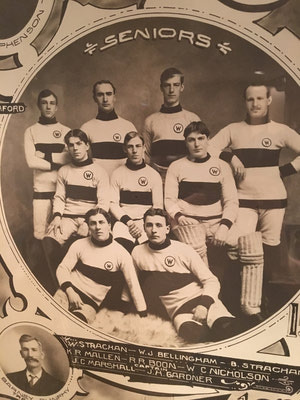 This 1918-19 team played in the Stanley Cup final vs the Montreal Canadiens that was cancelled due to the influenza epidemic. 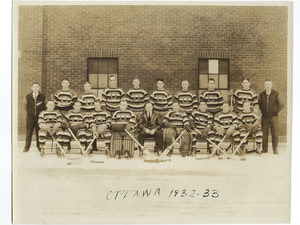 1932-33 NHL Ottawa Senators Original Team Photo 8 X 10"
Excellent condition original team photo of the 1932-33 NHL Ottawa Senators featuring Hall of Famers, Alex Connell, Syd Howe, Cy Denneny and Cooney Weiland.